Born in Vietnam, Dr. Ngo came to the United States at the age of two where he grew up in Los Angeles County, California. 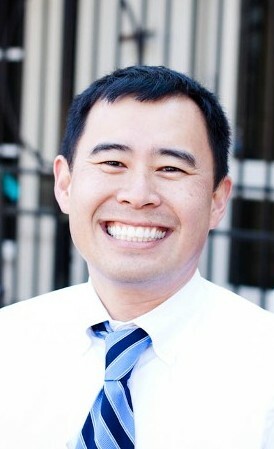 After graduating from the University of California in Los Angeles, UCLA, in Psychology-Biology, Dr. Ngo attended the University of Pittsburgh School of Dental Medicine where he and Dr. Shofner met as classmates. Upon completing dental school, Dr. Ngo did his General Practice Residency at Cedars Sinai Medical Center in Los Angeles. Dr Ngo is a member of the American Dental Association and Alabama Dental Association. His easy sense of humor and true devotion to dentistry makes it easy to see why he fits into the practice so easily. It has been noted by his patients that he is extremely conscientious about his work as well as making sure that each patient is relaxed and comfortable. Married, Dr. Ngo in his free time enjoys watching sports, traveling and spending time with family and friends. He especially enjoys spending time with his nieces and nephew who keep him young at heart. It is no surprise that Dr. Del Shofner's patients adore him, due to his keen sense of humor and the ability to put anyone at ease. 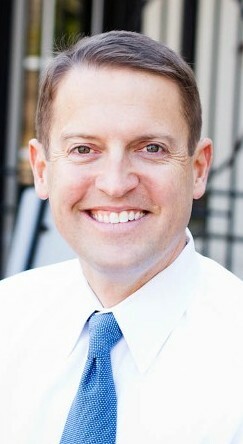 Born in Montgomery, AL, in 1971 Dr. Shofner graduated from Trinity Presbyterian High School. Graduating from the University of Alabama in Birmingham with a major in Natural Science Mathematics and a minor in Chemistry, Dr. Shofner decided to expand his education and fulfill a mission of becoming a dentist. It was while they were students at UAB, that Drs. Shofner and Marshall met and remained in contact as each pursued their dental education. While at the University of Pittsburgh School of Dental Medicine, where Dr. Shofner received his Doctor of Dental Medicine (DMD), he met and later married his beautiful wife, Van, also a Dentist now practicing in Northport, AL. Dr. Shofner is very attuned to the fact that people seek The Crossings Dental Center for a variety of reasons. He realizes that some people simply want to look younger and there are forms of cosmetic as well as restorative dentistry that are like a dental facelift, quickly reversing the natural aging of the teeth. However, his main goal is to help the majority of those who have had unattractive teeth their whole lives and have always felt self-conscious because of them. They rarely smile, which can often hide a warm side of their personality. It is his desire to see a smile on every patients face, that motivates Dr. Shofner each day. When not working which isn't often, Dr. Shofner is a member of the Sixth District Dental Association, The American Dental Association and the Academy of General Dentistry. However, just mention University of Alabama Football and Basketball or University of Pittsburgh Sports Program and you will see the competitive side of this dentist. Family and friends are the cornerstone of Dr. Shofner's daily life. Enjoying golf, traveling and hiking, he has to admit his main focus is on the women in his life, two beautiful daughters Sophia and Ava and partner and wife Van.